Tretinoin (brand names Retin-A, Avita, Renova) is a derivative of vitamin A and is the treatment of choice for comedonal acne, as well as whiteheads and blackheads. It works by increasing skin cell turnover, which promotes the extrusion of the plugged material in the follicle. It also prevents the formation of new comedones. 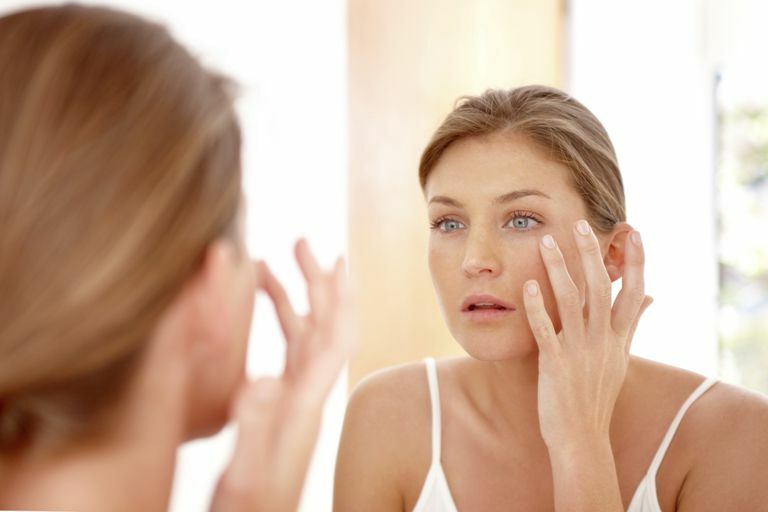 Tretinoin is the only topical medication that has been proven to improve the appearance of wrinkles. The effect of increased skin cell turnover can be irritation and flaking. For this reason, many people stop using Retin-A after a couple of days or weeks—and then think that it didn't work. It is important to realize that Retin-A is very effective for whiteheads and blackheads, but it may take six to nine weeks to see a noticeable difference in acne. And it takes at least six months to see a noticeable difference in wrinkles. In fact, the best benefit is seen if Retin-A is used for at least a year. If you're wondering how to use tretinoin cream, here are some guidelines that help ensure that you get all the benefits. Apply Retin-A in a thin layer at night. A small amount goes a long way. In the morning, wash your face with a mild facial scrub or rough washcloth. This will help reduce the noticeable flaking. After washing, apply a good water-based moisturizer. (Yes, guys, this applies to you, too.) The moisturizer will make the drying effect of the medicine more tolerable. If flaking occurs during the day, use a washcloth to remove it and apply more moisturizer, or just apply moisturizer. Try using a moisturizer that also contains a sunscreen. If not, apply sunscreen anytime you are in the sun—even for a short amount of time. Tretinoin makes you more susceptible to sunburn. When you first start using Retin-A, apply it every other night or every third night. The flaking and irritation side effects are usually the worst in the first two weeks of application. As your skin adjusts to the medicine, you can apply it more frequently. If you notice an increase in the irritation or flaking, it's okay to take a break for a couple of days. Just don't stop using the medication completely without consulting your health care provider.! Tell your doctor if you experience any of these side effects. You may need to discontinue use as Retin-A should not be used on broken skin. As mentioned earlier, tretinoin makes you more susceptible to sunburn. If you do get a sunburn, do not use the medication on sunburned skin. Wait for your skin to recover completely from the burn before using it again. In addition, Retin-A may negatively interact with other topical medications, especially those containing sulfur, resorcinol, or salicylic acid. To prevent dangerous interactions, make sure to tell your doctor about all the medications—topical and oral, over-the-counter and prescription—that you use. There is also some risk in using Retin-A during pregnancy; therefore, it should be used during pregnancy only if the potential benefit justifies the potential risk to the fetus. Similarly, caution should be exercised when using Retin-A during breastfeeding. So talk to your doctor about how to use the medication if you're thinking about becoming pregnant, if you're pregnant, or if you're breastfeeding. What's the Difference Between Blackheads and Whiteheads? Why Is Some Makeup Concealer Green?